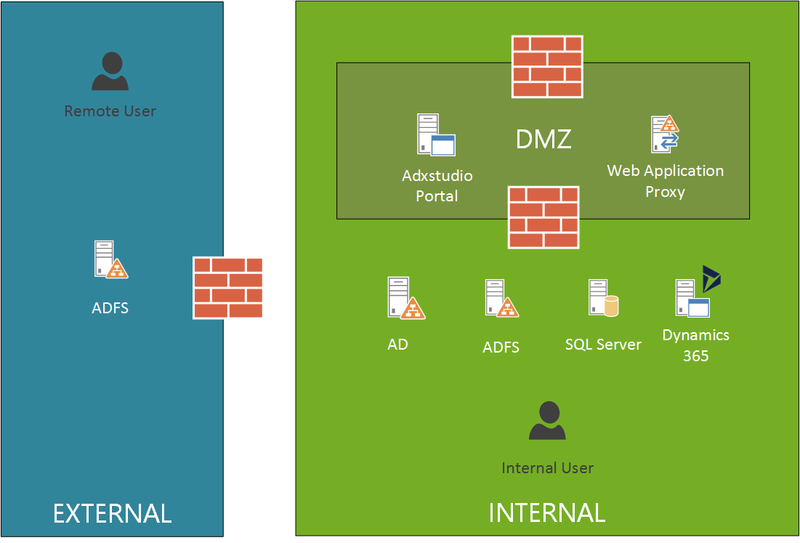 Recently, I wrote a blog series about how to configure ADFS as the Identity Provider for Adxstudio Portal. The links to the series can be found at the end of this post. 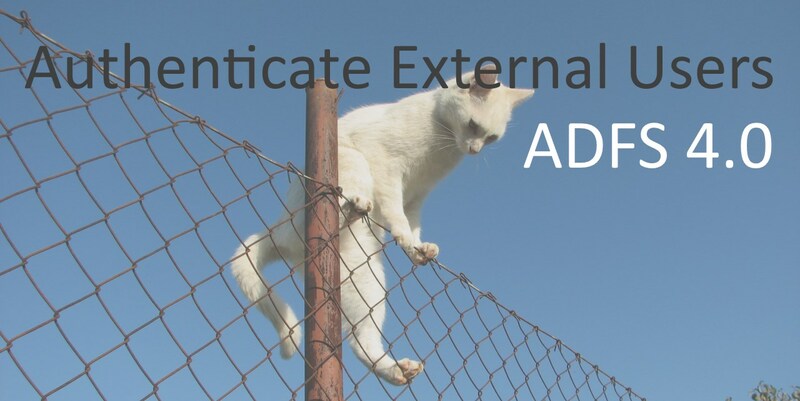 In this article, I will describe how we can configure ADFS to authenticate users in an external LDAP v3-Compliant directory. Let me explain this in another way. Let’s say you are an employee of a large organisation. Your organisation has multiple divisions with different active directory domains, possibly because of acquisitions/mergers or for security reasons. In your division (let’s call it the Division X), has number of applications that is used by internal staff in Division X. Some of the applications are Dynamics 365 (CRM) and Adxstudio Portal. Division Y is interested in you applications and would like to use Adxstudio Portal. You don’t want to add all employees of Division Y in to your Division X Active Directory. You want them to use their own AD credentials from Division Y active directory to authenticate. In order for AD FS to authenticate users from an LDAP directory, you must connect this LDAP directory to your AD FS farm by creating a local claims provider trust. A local claims provider trust is a trust object that represents an LDAP directory in your AD FS farm. Using ADFS 4.0, we can quickly create local claims provider trust (after reading this article of course :)). Note: Before you configure ADFS, make sure you have a username and password of a service account which has access to the external LDAP directory. Also make sure you have physical connection between the two ADFS farms. You can configure this by running the below PowerShell script. For detailed description, please refer to this article. $email=New-AdfsLdapAttributeToClaimMapping -LdapAttribute email -ClaimType "http://schemas.xmlsoap.org/ws/2005/05/identity/claims/email"
$givenName = New-AdfsLdapAttributeToClaimMapping -LdapAttribute givenName -ClaimType "http://schemas.xmlsoap.org/ws/2005/05/identity/claims/givenname"
$surname = New-AdfsLdapAttributeToClaimMapping -LdapAttribute sn -ClaimType "http://schemas.xmlsoap.org/ws/2005/05/identity/claims/surname"
$WindowsAccount = New-AdfsLdapAttributeToClaimMapping -LdapAttribute sAMAccountName "http://schemas.microsoft.com/ws/2008/06/identity/claims/windowsaccountname"
$upn= New-AdfsLdapAttributeToClaimMapping -LdapAttribute upn -ClaimType "http://schemas.xmlsoap.org/ws/2005/05/identity/claims/upn"
One of the key requirements was the ability to use the username field as username without the domain. For example, if the DOMAIN\USERNAME was DIVY\nadeeja, we wanted to simply use nadeeja as the username without DIVY. To achieve this we changed two attributes. Once you run this command, you’ll get a second option in ADFS login screen. Once of the things I was stuck on was I was getting username not found errors. The active directory path of the external directory was “OU=Staff,DC=dyn365apps,DC=internal”. All staff accounts were in Staff OU. When we configured this path as the -UserContainer, I was getting errors. Then I went to a level higher and included “DC=dyn365apps,DC=internal” as the active directory path and it worked! ADFS Login page included some client side validation. For example, it checks if the username in DOMAIN\USERNAME or USERNAME@FQDN format. Our requirement was to login using only Username. This created a problem because the client side validation code was rejecting our Username. Luckily, ADFS provides a method to update the scripts on the ADFS login page using PowerShell scripts. More details can be found here. Rewire form validation by changing the Login.submitLoginRequest function which doesn’t enforce domain name in username field. Add following event listeners to make sure the above code runs on page load. // This file contains several workarounds on inconsistent browser behaviors that administrators may customize. // iPhone email friendly keyboard does not include "\" key, use regular keyboard instead. // Note change input type does not work on all versions of all browsers. // which is necessary for correct functionality of immersive IE. // values (auto), otherwise the viewport dimensions will be wrong for Windows 8 phone. // If the innerWidth is defined, use it as the viewport width. // Gets the current style of a specific property for a specific element. // containing the class 'illustrationClass' with the background image. // Function to change illustration image. Usage example below. Nadeeja Bomiriya is a Microsoft MVP, Technical Architect, and Microsoft Solutions Delivery Lead who lives in Melbourne, Australia.